Customers asked, Toyota listened. 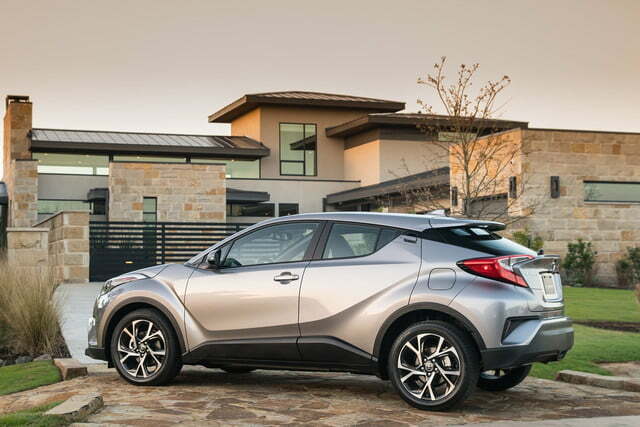 The Japanese firm made the C-HR, its entry-level crossover, cheaper for the 2019 model year while adding popular tech features that were missing from the 2018 model. Toyota started by restructuring the C-HR’s trim level hierarchy. It expanded the lineup with a base model named LE, and it got rid of the slow-selling XLE Premium variant. Every version regardless of price comes standard with an 8.0-inch touchscreen that displays an infotainment system compatible with Apple CarPlay. 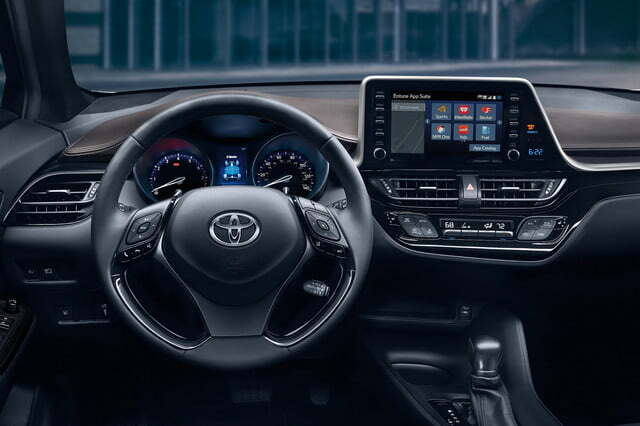 Toyota resisted Apple’s advances for years, but it began warming up to its in-car software in 2018. While Android users are still out of luck, that could change in the coming years because some of the C-HR’s stablemates (including the Tacoma pickup) began offering Android Auto compatibility in early 2019. 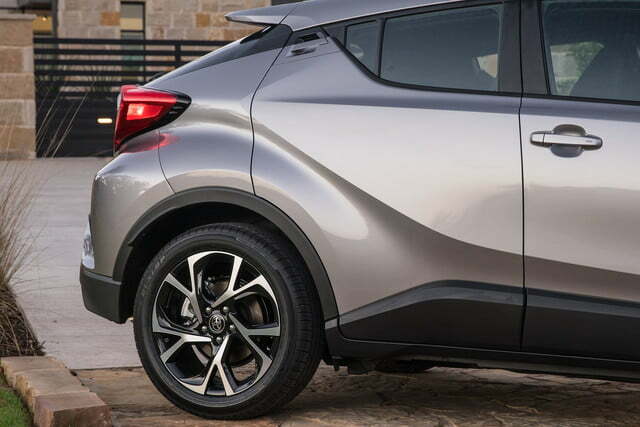 The C-HR LE looks like a bare-bones machine because it rides on 17-inch steel wheels covered by plastic hubcaps, but its list of standard features tells a completely different story. It offers adaptive cruise control, lane-keeping assist, automatic high beams, and automatic braking with pedestrian detection. 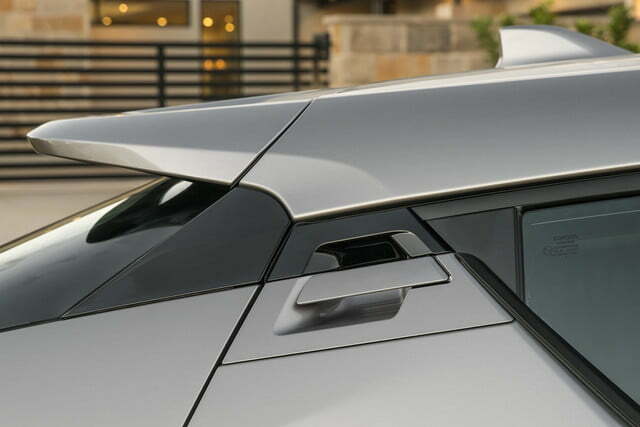 More expensive trims benefit from an even more robust selection of standard features including a blind-spot monitoring system, rear cross-traffic alert, a push-button ignition, and power-folding door mirrors. 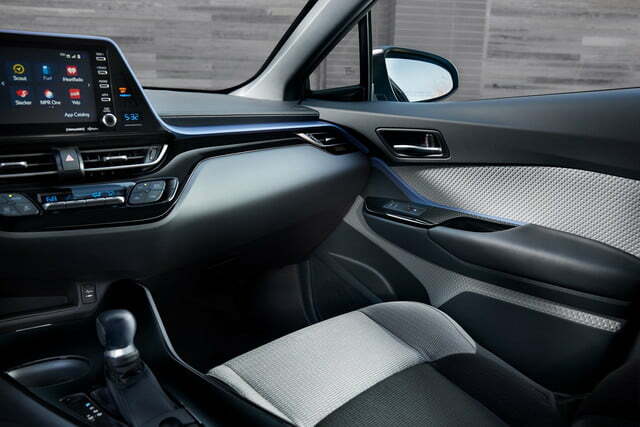 Buyers who select the range-topping trim unlock niceties like rain-sensing windshield wipers, heated front seats, and leather-upholstered seats. Toyota hasn’t made any mechanical changes to the C-HR. Power still comes from a naturally aspirated, 2.0-liter four-cylinder engine tuned to deliver 144 horsepower at 6,100 rpm and 138 pound-feet of torque at 3,900 rpm. 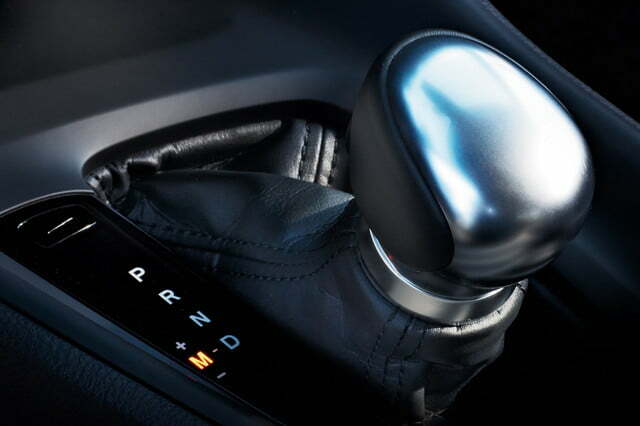 The four-cylinder spins the front wheels through a continuously-variable transmission (CVT). All-wheel drive isn’t offered, which is a little bit puzzling considering most of the C-HR’s competitors are available with it. 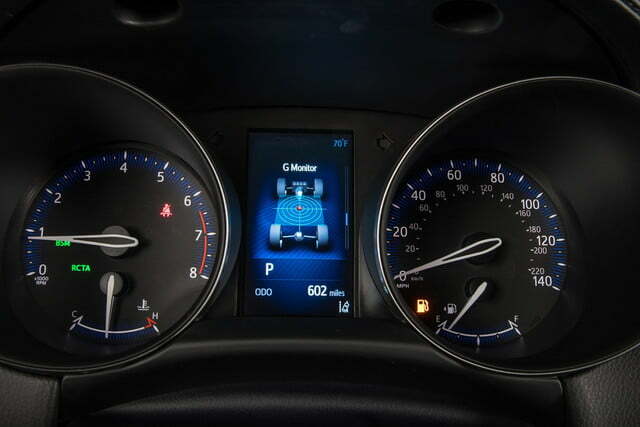 The gasoline-electric hybrid powertrain available overseas still isn’t available in America. The 2019 Toyota C-HR is on-sale now nationwide with a base price of $20,995 before a mandatory $1,095 destination charge enters the equation, which represents a $1,500 discount compared to the cheapest model offered during the 2018 model year. The range-topping Limited trim starts at $26,050. Toyota’s most accessible crossover competes in the same segment as the Honda HR-V, the Kia Niro, the Jeep Renegade, and the Hyundai Kona, among other small, car-based trucklets.